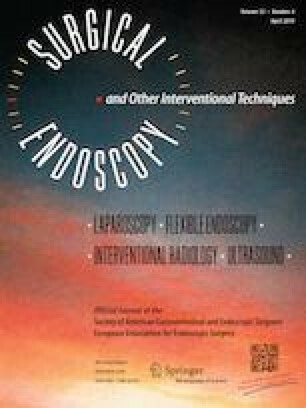 The techniques and indications for endoscopic submucosal dissection (ESD) and endoscopic submucosal tunnel dissection (ESTD) to remove superficial neoplasia at the esophagogastric junction (EGJ) have been developed and expanded. However, the resection of superficial neoplasia at the EGJ by ESD remains challenging, and the long-term clinical outcomes of curative and non-curative resections based on histological criteria remain unclear. We conducted a retrospective analysis on the safety and efficacy of the ESD and ESTD procedure with these patients. The records of 209 consecutive patients at the Chinese PLA General Hospital who received ESD and ESTD to treat EGJ superficial neoplasia from November 2006 to December 2016 were reviewed for this retrospective cohort study. We divided patients into two groups (curative and non-curative resection). Of all 14 additional surgeries, 1 patient in the curative group and 13 in the non-curative group underwent surgical operation with residual tumor in 7 specimens. During a median follow-up period of 46.4 months (range 12.2–142.3 months), the 5-year survival rate was 98.6%. Two patients died 91 months and 66 months after surgery due to subarachnoid hemorrhage and lymphoma, respectively. One patient died of gastric cancer 1 year after the surgery. The 5-year disease-specific survival rate was 99.5%. Local tumor recurrence was detected in 9 of 209 cases. In conclusion, ESD was shown to be a safe and effective treatment strategy for early EGJ neoplasia. Mucosal adhesion may increase the difficulty of piecemeal curative resection, but the superficial depth of such an invasion favors better clinical outcomes. Additional surgical resection is a good choice for non-curative ESD, and re-ESD is also an alternative, in conjunction with intensive follow-up. Shengzhen Liu and Ningli Chai are co-first authors and contribute equally to this work. This work was supported by Grants from the Beijing Science Committee Fund Program of China (D141100000414003) and the National Key R&D Program of China (2016YFC1303601). No other funding organization played a role in the design and conduct of the study, the collection, management, analysis, and interpretation of the data, or the preparation, review, and approval of the manuscript. Dr. Liu, Dr. Chai, Dr. Lu, Dr. Li, Dr. Xiong, Dr. Zhai, and Dr. Linghu have no conflicts of interest or financial ties to disclose.